Multi-Family with fully equipped in laws,Pool, shop, RV, Huge house on 2 acres with view. 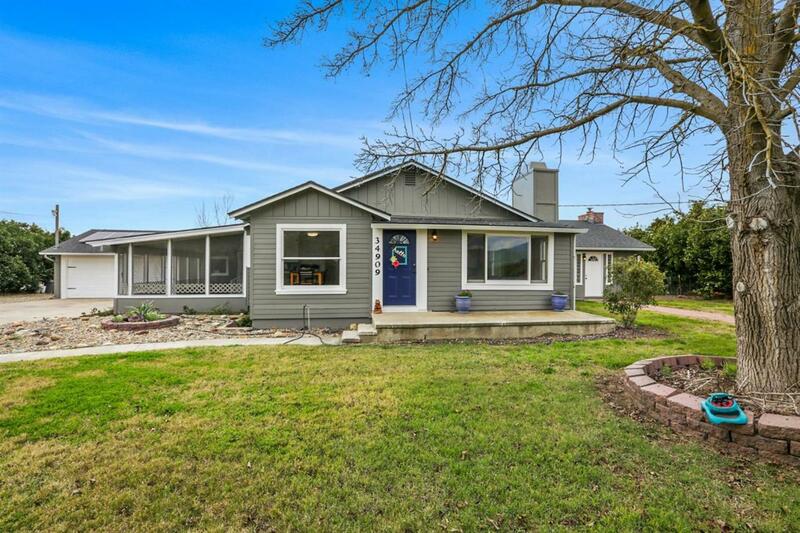 Charming craftsman style home ideally located on the outskirts of Woodlake with scenic views of the Sierra Nevada's and cottonwood creek. This cozy newly remodeled home features granite counters, bamboo floors, vaulted ceilings, whole house fan, new roof, new pool pump. Almost all new walls, New paint inside and out. Paid for solar and a large swimming pool. Many items have been replaced in this house. This home has almost every amenity you could imagine including a mother in law unit and rv parking with its own septic, and a soaking tub in the master bath all on a little over 2 acres. Oranges on property are farmed by neighbor but owner could do the work. Whether you have a family or are a small business owner needing to spread out You really must see this wonderful home. Covered sided RV barn only needs a back and door to be a SHOP. Already has the Electric, Water,Septic to it for SHOP.